Why Metal? Metal buildings and roofs have a quality and long-lasting durability that conventional structures and roofs simply can't match. 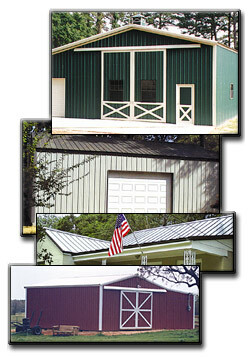 We invite you to learn even more about our All Steel Buildings, All Steel Building Kits and Metal Roofs. But if you only have a short time to visit, glance at the list below. When you're ready to make your decision, please call us at 903.531.0182 or toll free at 800.657.3198. And, of course, you can always contact us through our site.